The Zimmermans weren’t sure they were ready to make that trip, but they were convinced otherwise. Nonetheless, before the conversation was over, the Zimmermans had been placed on retainer. Another client would soon follow: Marriott Hotels. Marriott had been displeased with the work of its agency leading up to the opening of the first resort it had ever built from the ground up, the Sawgrass Marriott Golf Resort & Spa, located in Ponte Vedra Beach near Jacksonville. Carrie entertained a call at noon from Marriott corporate in Washington, D.C., and was asked if she could get to a meeting in Jacksonville at 2. “Sure,” she said, not at all certain that she would make it on time. At the meeting, she offered Marriott personnel a frank assessment of their agency’s work. She was asked if she could take over, and she did. Next came Citicorp Diners Club, the inventors of the credit card. As was the case with Domino’s, the Zimmermans has done work for both Marriott and Citicorp in Atlanta. Marriott would wind up awarding the Zimmermans eight segments of their business, including Marriott Worldwide. 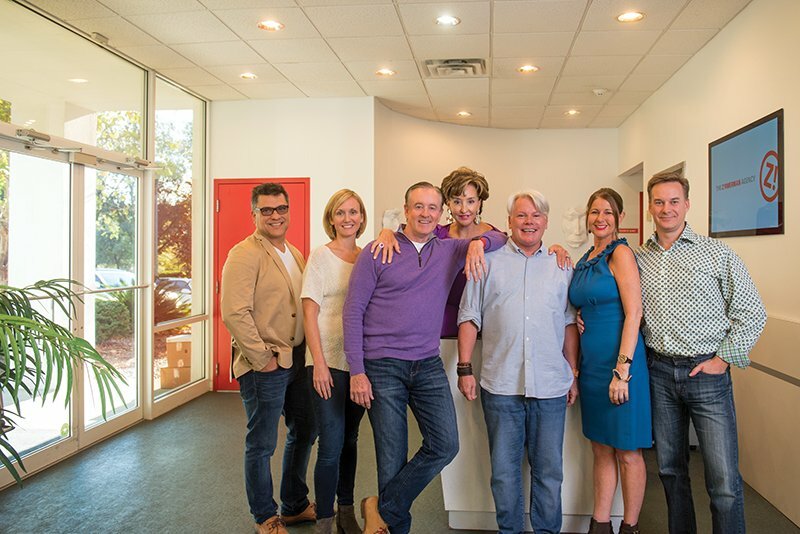 Rather suddenly, this accidental agency in an off-the-beaten-path location had landed three large, nationally recognized pieces of business. The Zimmermans resolved to focus on large clients, only, and to stay away from contracts limited to a project. They wanted to forge relationships instead. The Zimmermans, given their backgrounds, engaged in interactive marketing at a time when IM referred not to PR and advertising, but to a shot in the keester. The intern pitched his concept with some-thing called PowerPoint. The Zimmermans, who had never seen such a presentation before, scarcely heard what the intern said, but they were fascinated by his new generation of projector. As to digital, they had been assured by a remote access software company whom they had as a client that the internet was nothing to worry about; it was going to be reserved for the military and the government. But this PowerPoint; now, it was something. Digital, of course, would arrive at the agency, which produced the first website promoting Florida before Visit Florida was established and before, Carrie pointed out, there were individual email addresses. “We were sending items to editors@nytimes.com, addresses like that,” Carrie recalled. Most of the Zimmermans’ clients come to them as the result of referrals. A business familiar with their work, approach and personality recommends them to another business. In San Diego, a group of 12 restaurants, Urban Plates, went agency hunting. They interviewed several and didn’t find anyone they liked. Someone recommended the Zimmerman Agency. “We got a call and they said, ‘We hate to do this to you, but what are the chances you can be here in two days?’” Curtis said. “We flew to California, made our presentation and on our way back to the airport, we were notified that the account was ours. Some predicted that digital would be the death of agencies, but Curtis finds that the reverse has proved true. “This is the most exciting time for agencies that we’ve ever experienced,” he said. And the fastest paced. Gone are the days when businesses marketed themselves on the basis of yearlong plans and budgets, and campaigns were developed and tested for months before they were introduced. Not long ago, the agency undertook a survey of its clients aimed at discovering what they most like about the agency. Curtis dismissed the project as a waste of time, confident that he knew what the results would be. Surely, clients would most like the agency’s creativity, Curtis thought, but creativity finished fourth behind enthusiasm, determination and integrity. In that connection, Curtis shared an email message he received from a junior social media designer at the agency. Curtis had relayed a compliment from a client to the designer, who replied:“Curtis: I just want to say thanks again for the call this afternoon. I have been thinking about it a lot and I know it will continue to motivate me to keep grinding away to do the best I can do. You and the agency have given me so much, so being able to contribute in meaningful ways is huge to me. “Coming from a kid who’s 25 years old, that’s amazing,” Curtis beamed. “I wouldn’t live a foot north of where I’m living,” Curtis said. “I was a Little League coach for 16 years and after a game, I’d find myself hanging around with a contractor, a plastic surgeon, a plumber and an insurance man, all of us eating hotdogs from the concession stand. And fly the Zimmerman Agency does. The last time they did the math, they found that the agency had spent $678,000 with Delta Airlines in a single year. “And, you know, we’ve never heard from Delta. They’ve never contacted us to say ‘thank you,’” Carrie shook her head. From a public relations perspective, perhaps they should.